French SNCF bogie flat wagon number 33 87 491 5 005-2. 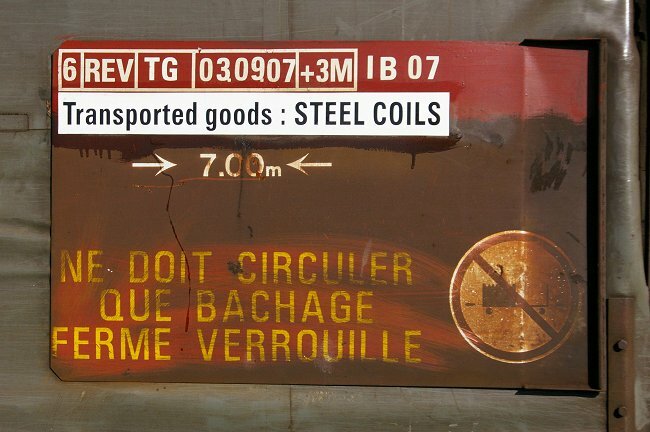 SNCF steel coil wagon 33 87 491 5 001-1. 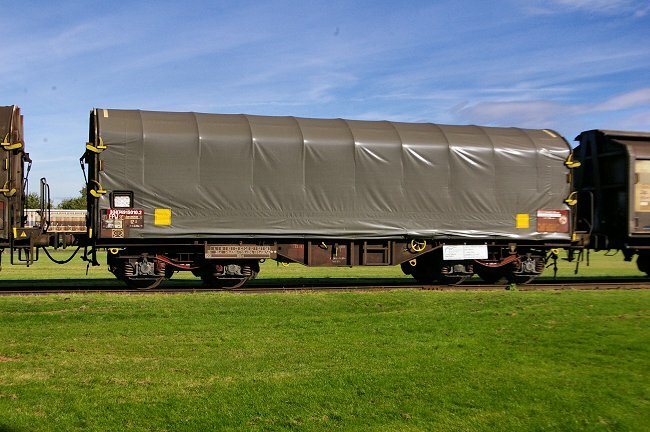 The UIC code for this type of railway wagon is Sfhlmmns-u. 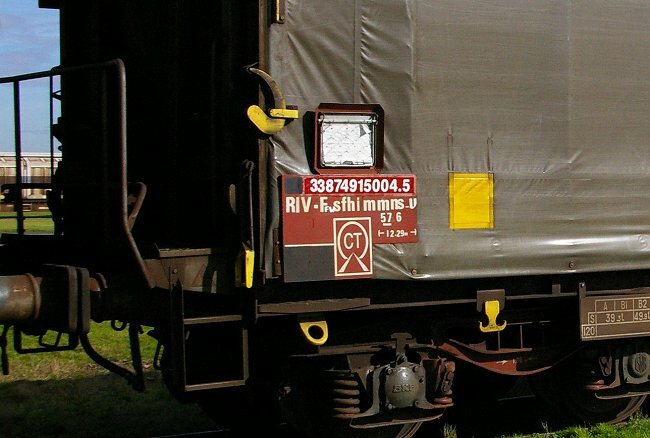 Detail from SNCF bogie flat wagon 33 87 491 5 001-1. 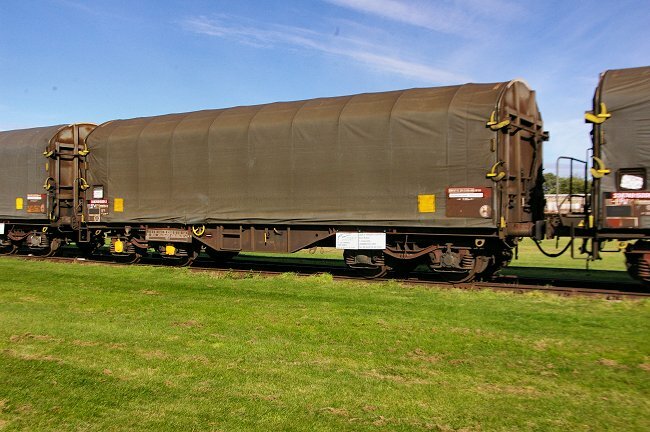 SNCF bogie flat wagon 33 87 491 5 014-41. This fleet were built by AFR in 1993. 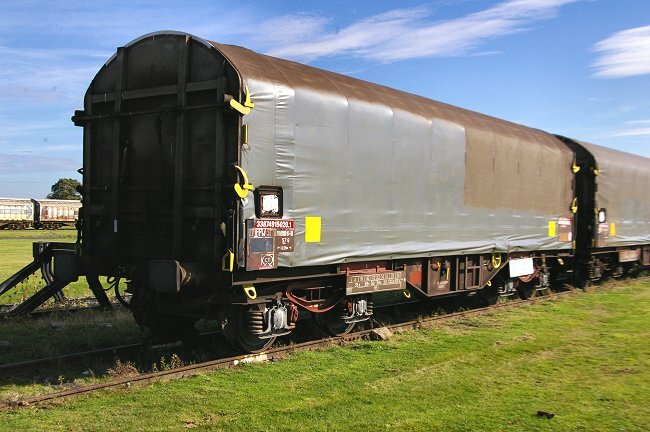 Bogie steel wagon 33 87 491 5 010-2. 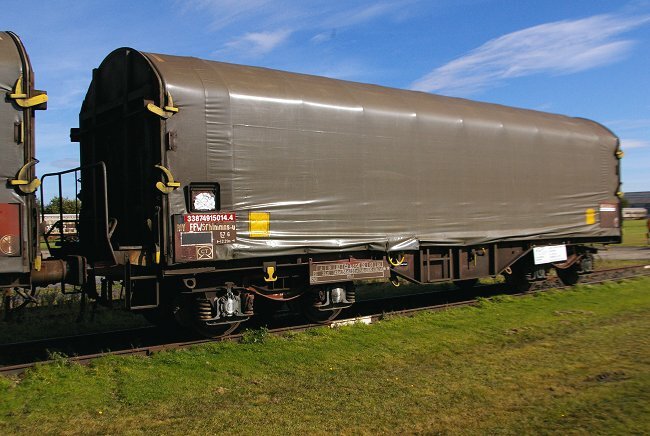 These wagons were renumbered from the 31 87 466 7 000-0 series. Unusually the number appears on these wagons without any spaces in it. 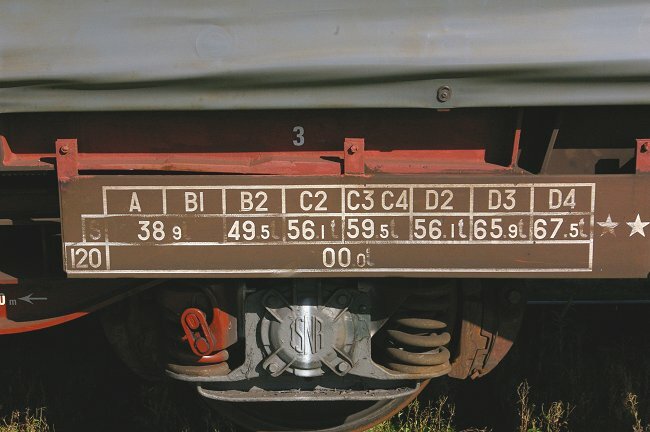 The "code de repartition" for these railway wagons is "S 57 6". 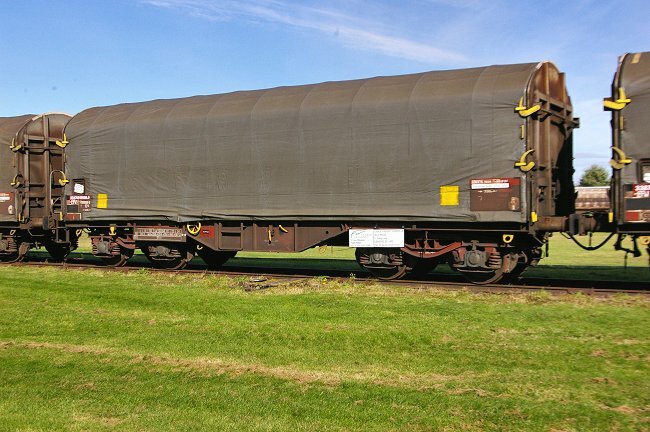 SNCF bogie flat wagon 33 87 491 5 006-0. The TOPS code for these wagons is IHA. 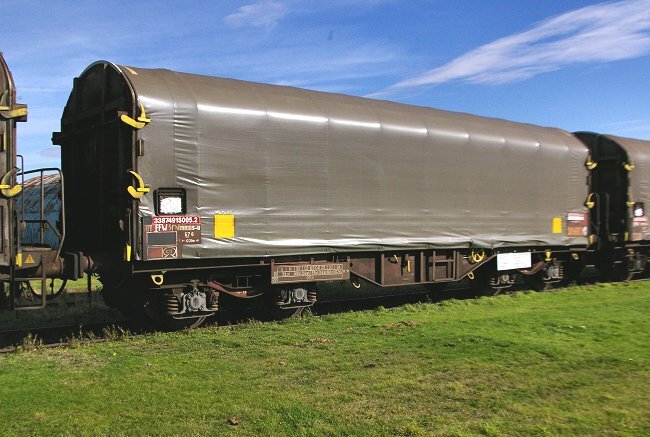 Bogie steel coil wagon 33 87 491 5 020-1. Detail from SNCF bogie flat wagon 33 87 491 5 020-1. 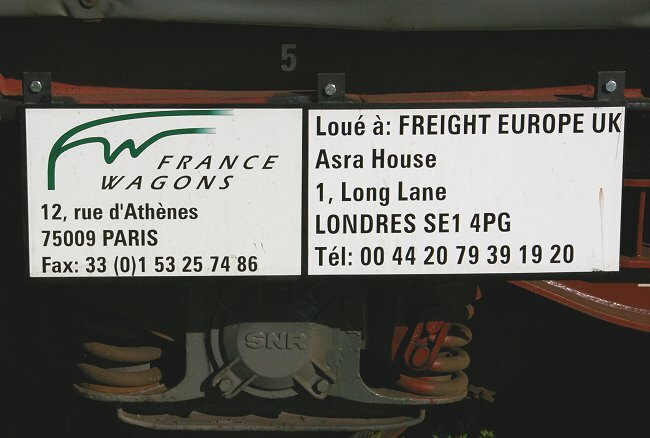 France Wagons is a subsidiary of the freight arm of SNCF, the French national railways.